This is part II of assignment 9 for Blogging 101. 1 – There are a lot of fishers out there. People who follow your blog just to get a follow back. They haven’t liked or commented on any of your work. Chances are very high they didn’t read a word of what is on your blog. All they want is the guilt follow. I give these people the benefit of the doubt and read through their blog until I find something that inspires me to comment. If you don’t take the time to reply to the comment, or even worse, don’t take the time to at least like the comment (however inane it might be) that tells me you don’t really care if I am reading your stuff or not. You tell me why I am going to keep reading. Are you Kurt Vonnegut? 2- Building real followers is like building a friendship. Along those same lines, I have found that the people really worth following are the ones you know pay attention to the people following them. Why? Because you make real followers the same way you make real friends. Just because I am following your blog doesn’t mean I am going to buy your book or care about what you are talking about. I can delete emails really fast. If you don’t engage your audience the chances are high that they are not going to care about what you are talking about, no matter how well you write. 3 – Authors who muse are annoying to me. Being an author to some people means that everyone should care about what you are writing because you are good at it. Writing is your skill. That is why you are here. Here is the problem: that is why we are all here. Why should another writer care about your random rambling? If there isn’t a point or a lesson to be learned from your musing than tell me why I should care? Because you are good with words? Guess what? Most of the people on this site are good with words. Find another way to stand out or stop rambling. Make your words count. 4 – Everyday posters who post multiple times a day are often not worth following. One of the objects of Blogging 101 is to post something everyday and I know that many of us are struggling to keep up with that, and good on you for it! Here is what I have learned though, if you don’t put enough thought into what you are going to post then it isn’t worth it. There are some theories out there that say that no words are wasted, but here is my counter argument: Your posts go into the email inboxes of your followers. Do you want to bombard them with 10 emails a day of your random thoughts? I call these people Facebook/Twitter bloggers. They are treating their blog like it’s a social media website and thus a place to post any random thought that pops into their head. If you have something meaningful to say, think it out, type it out, read it, then post. Don’t just post to get views. It’s not really helping your cause like you think it is. I feel this is as good a way to lose followers as it is to get/keep them. 5 – Shameless pluggers should be paraded around for their whoring. I have had a mess of people comment or message me because they want to promote/sell me their book. Please refer to point 2. Why do I care about you? If all you are coming at me with is, “here is my book! Buy it! It’s totally awesome!” I will delete you and never speak with you again. This is like walking up to a random person in the bar and saying, “here’s my naked self! Let’s do it! I’m great!” Can you at least buy me a drink first? Tell me your name? Ask me any stupid thing about me, then we can talk about you and all your shameless self promotion? Go away already. If someone follows your site, click on their name, go to their site and read something of theirs. Comment or like it depending on how well it suits your taste. If all you ever get is a follow and no other communication over the course of a few weeks, they didn’t really like your site, they just wanted another follower. Same thing goes with likes and comments. Bloggers should care enough about their readers to pay attention to what they are writing too. Too many people are just on this site to write things and have everyone love them and read their fabulous words. If they don’t care about you, ask yourself what about their site attracted you in the first place and if you want to keep reading it even though they have no time to address you. Unless this is Neil Gaiman we are talking about, they have time. Along those lines, if someone takes the time to comment on your work, comment back. I would even say to go a step further and go to their site and find something to comment on. I have 30 WordPress followers at this point but I only consider about 5 of them real followers. These are the blogs I will read anytime I get an email and comment on right away. Why? Because I know that when I post something they will do the same. Why is this a good habit to form? It depends on why you are blogging. My aim is to build relationships with my readers so that, if or when the time comes, I will have a base of readers to work from if I do ever publish my work. I can then send it to them knowing that I have fostered a real relationship with these people rather than just spamming random people I have never spoken to about this awesome thing I wrote… and PS, I’m naked! Side Note: Really taking the time to read through blogs is very rewarding. I read through nearly two hundred last night and found 3 that I really liked. I posted about them and ended up breaking my site view record by over double. I also doubled my number of visitors and gained 4 new followers… just for suggesting other sites that were good. The logic is, if you find something truly good that means you probably have good taste. If you have good taste than it’s probably a good idea to follow you as well. This is evidence that the homework Blogging 101 is giving us is absolutely worth it. Follow it and it will lead you in the right direction. This entry was tagged amwriting, author, blogging101, creative writing, opinion, words, writer, writing, writinglife. Bookmark the permalink. You nailed many of the pros and cons about blogging. I am working on the homework from Blogging 101, and there is a lot I don’t know about blogging, but I am learning as I go. That being said, I think the reason I blog is to clarify my thoughts for myself. When stuff is just in my head, it is chaos. But you also don’t strike me as a blogger who is doing it to build a readership in the same sense as many of the other bloggers are. The most important question is, ‘why do you blog?’ If your aim is to build up an audience you do have to interact. It’s the adage of you get what you give. Many ‘authors’ blog without giving anything and expect a lot in return. Ouch.. Harshly put, but mostly true. I’m not sure I agree that everyone’s in this to for relationships though. I certainly wasn’t. The connections are an unexpected bonus quite frankly. I’ve also increased my followers since joining 101 ( though I dint even realize it was a thing..then I got hooked. But it’s has its demons as well. Trying to figure out why some people liked this blogpost but not that one.. arrgghhhhh tea leaves are not my thing clearly so I’m back to the beginning. Writing about what I want to write about and sometimes reading what other people think. I should have clarified: bloggers with the title or aspiration of ‘author’ are here for the relationships. If you want to be an author you do have to think about how to build an audience and it does breed some bad habits. The post view obsession is where it starts. If you want it to go up, the relationships are the key. If you are in it for you then it shouldn’t matter if no one reads it, right? Sorry it came off as harsh 🙂 I was just being honest about what I’ve experienced. Wow! This is a great post. (Just so you know, I read every word of it. Lol) I don’t have experience blogging but you hit a lot of good points. I love to read. That’s it. And I only comment on posts I like. Truth be told, I may have to repost this. Commenting only on what you like is natural. It is a good habit to form, then you limit how much you read in the future and you list of followed blogs will be only things you really like. I agree with you about bloggers who update really often are a bit exhausting to follow. A couple years ago I did comment more often blogs but nowadays when I follow many blogs, I comment more sparsely. Commenting all the time is time consuming, that is very true. But it’s necessary every now and then to remind people that you are actually reading their work and understood/appreciated it. I just find it funny how many people love to get comments but don’t like giving them and can’t see the correlation. That is very true! I find that sometimes bloggers with a wider audience do not answer comments at all. But then they receive like 50 comments that are very similar on a blogpost. I agree with every single one of these points. I’ll admit that I ‘Muse’ (though my blog before last week was titled Musings of Danielle – I have since pinpointed a more specific subject). I make my musings related to my blog subject, 1 topic each week, and it engages my followers really well (they’re typically the most commented on posts I have). But yeah — everything about this post is spot on. Musing is fine as long as the content has a point and direction. Musing that borders more on rambling is what drives me bonkers. This is a really interesting, thought provoking post. I agree people who constantly post but don’t engagey with their followers just don’t float my boat. I like you want to build relationships with followers. It’s communicating with other Bloggers that I enjoy most about Blogging. If someone follows me I have been following back. If I’m honest with some the content does not appeal. I make real effort to read and comment on other people’s posts. This has helped build ‘blog friendships’. Others don’t even acknowledge your comment. Your post has got me thinking about unfollowing those blogs. They are not interested in building real links with other Bloggers. Thanks for giving me something to think about. You’re very welcome. Now you know why I comment on your blog, too! The truth is there are a lot of people that want to receive who don’t want to give anything for it. That’s fine if that is who they are but they have to consider why that won’t necessarily get then what they want. I’ve already in followed a small number of blogs. They were also the prolific posters as you have said. My Reader now feels more manageable and has content I am really interested in. Thanks your post. Reading your thoughts and opinions helped to clarify things for me. I’m glad to hear that and that my rambling proved useful. I have been musing about what I want to comment here for about an hour and a half while looking through the rest of your blog. I find it a lot easier to respond to comments than to write them – as I usually think that if I wrote down what I’m thinking it would just read as bumf, and I agree with your point on making your words count. However, I’m just gonna go for it. I’m looking forward to Paul’s story on the 16th. I sincerely hope you’re not naked. I think your dialogue is great. I noticed in your most recent YA Fantasy post you wrote ‘fine the one nugget to truth’ rather than ‘find one nugget of truth’. I like that this post is about stuff that annoys you, and I really like your blog in general, so I’m following regardless of whether you’ll consider me a real follower or not, and not because I think you were fishing when you followed me. Thanks for keeping me entertained for the same amount of running time as The Breakfast Club! That was all the awesome. Thank you. Anyone who can admit their geeky obsessions online will always be a real follower/friend. PS – I missed that last line. The same amount of running time as the Breakfast Club? If you seriously spent that much time looking at my drivel you are in line to be the leader of my fan club. Nice to meet you, new best friend! I enjoyed reading this post. 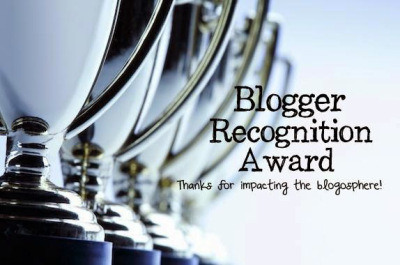 It is a wake up call for me, to remember the interaction and personal aspect of blogging. As a mag journalist all my life, it’s been about writing and seeing it published, but there’s been no need for interacting with readers. I’ve learnt a lot from your one post. Thanks! Exactly. Too many people want to act as if blogging isn’t interpersonal. If you wanted to just keep a log of your thoughts, you can do that in Microsoft Word. If you just want people to read your words of wisdom, you could publish them on a site that only allows people to visit and read. That is why we have comment boxes and like buttons, to interact and get feedback. I am glad I could be of help! Best of luck to you. One of the things I hate most about any social media platform, whether it’s for short thoughts or long blog posts, are the people who follow you expecting a follow back and make a big show about unfollowing you simply because you didn’t want to reciprocate. I think you hit this issue right on the head. It’s also annoying when some of these people treat their blog like it’s Twitter and don’t take the time to draft or even write anything of value before spamming all over the dashboards of their followers. I am glad I am not the only one that feels this way. People who follow out of the blue are always suspicious to me. If you came over to follow me just for the follow, fine… but I am going to read your stuff. If I don’t like it, I am not afraid to unfollow it. This is because I do try to READ everything that hits my inbox. If I get to your 10th email and nothing has sparked my interest… why am I going to keep following? Because you did me a solid? No. And the spammers I really don’t understand. I think it has something to do with a ‘view’ obsession but I still don’t get even that. Thanks for the comment! Nice summary. Spot on. I am actually just starting to venture out to find blogs I enjoy reading, and really that is my primary goal. I want to be excited when I see that one of my favorites has posted. I enjoy wit, humor, and something that makes me feel motivated or uplifted. I do find that if I read something that slightly interests me I hit “follow” so I have the opportunity to read their next few things to see if they will become a favorite. I enjoy when people comment. I feel like we are getting to know one another. I just like to tell stories and make people laugh! I like telling stories as well. Sometimes it’s for a laugh and sometimes it’s to make people think. That is the beauty of writing. 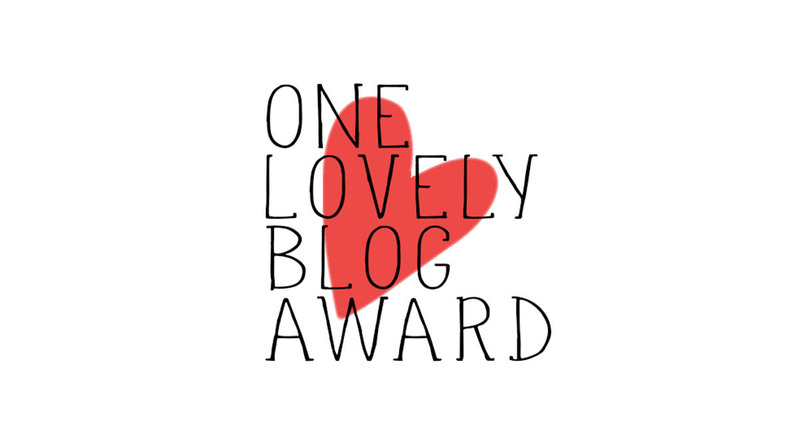 Most people enjoy when others comment, that’s a part of why we blog – to get others to read the things we write and actually feel some kind of emotion. I think that is totally natural. It’s also nice to feel like the faces that follow you have a story that go along with them and that when you do take the time to read and comment, those faces care enough to respond. Thanks for the comment! I am looking forward to reading more of your stuff. Some of my stuff is just silly escape and other stories are deeper, of course after they’ve been stupid. Yes, very much that. This is the thing I hope everyone will take away from Blogging 101: Followers don’t magically fall from the sky, they want to be earned. Why should people care about you when you don’t care about them? Obviously, I agree 100%. The resistance I have gotten from this though is from the sect that come to blogging either not interested in or misunderstanding of the interpersonal aspect. If this wasn’t about communication and interaction between writers than why do we have these nifty little comment boxes? Why have like buttons? To interact… that’s why. Take a moment to care and you will be rewarded. Oh my goodness, this a million times over!!! I don’t have time to comment fully now, but do I have your permission to reblog this and/or link to it in a post? Thanks in advance! Woohoo, I shall commence in drunkenly scribbling your words in every truck stop bathroom from here to the Mississippi River! Kidding, of course — I don’t go in truck stop bathrooms unless my life depends on it. Congratulations either way. If you are happy then the title only matters to people who have nothing to do with it. Nailed it! One month, huh? Fast learner. It’s good that you said these things. There is actually a blogging etiquette, which you touched on. Unfortunately, the biggest offenders never bother to research it beforehand. You have a new follower here. Thank you so much for the comment. In any kind of social interaction there is an etiquette, and blogging is, without question, an interpersonal exchange. If you want to do well at anything you have to do your homework, right? I’ll be by to check out your site later, thanks for the follow! You are absolutely correct on all points. Thanks you so much for coming by the site. Quick question: Would it be ok f I reblogged this post? That was a very thought provoking piece. You clearly have a great talent for writing and have said what a lot of others are thinking. I read every word of your post, and all of the comments. You have made me think a lot more about what blogs are for. But also, I think when you are starting out with a new blog, it takes a while to find your feet, one tends to ramble, or jump about to different topics until you get to the point where you really know what you want to write about. I will take on board a lot of,your comments and I would like to thank you very much for all the time you have spent writing this useful piece. Well, here is a good start, I almost refrained from commenting on this because so many accurate comments have been made already and I’ve learned a lot from them and I feel like my two cents wouldn’t add much. Hence I could very well be the type of silent follower that likes a lot, comments every now and then and keeps in touch on an irregular basis. I am new to the blogging community, being a former subterranean diary writer (I almost wrote blogging “industry” see how wary I am of this public display of motions and emotions) and I find myself a little scared of the exercise altogether. My internet got disconnected for 10 days and here I am running after assignments and comments like a mad woman, enjoying some of it luckily but running through blogs nevertheless! I’m a rather slow reader and even though I love exploring new galaxies the blogging requirements are tough on my “art de la lenteur” if I may say so. And like I said, sometimes the best writing leaves me simply speechless! If you bear with me to read this hysterical lament on poorslowbloggerthatcan’tkeepupwiftoomuchprose I would also say that I am most intrigued by this 10 words a story concept of yours and would like to participate. Do you have time to write my story? I certainly do! Please send me your 10 words and I can put your story on at the end of the month (30th of January). They come out every Sunday. Interesting post – I have had many of the same thoughts. I follow very few blogs – not because I am antisocial but simply because time is very limited and I find myself getting overwhelmed with reading, spending my evenings glued to my laptop as opposed to actually living. Having said that, I suppose I’m here really for the joy of creating, to crystalise my own thoughts and to learn techniques rather than to spread the word in a big way. I would rather read one post and really embibe it than skim through a dozen. I understand the time limitations. One could literally dedicate their entire days to reading blogs and never get to the bottom of the pile. I also agree with putting full effort into reading what you really like rather than skimming through just to feel like you did it. This is why I don’t like everyday posters. If you post something once a week, I can keep up with all your stuff. If you post something everyday, chances are I’ll read maybe one of your posts. This learning process has taught me something as well about quantity versus quality. Thanks for the comment! I was checking in on you since you’ve changed your priorities and stumbled across this post. (Lucky day for me!) As of this post you had 30 followers, now you have 230! That is amazing. It is obvious that you write well and that you care about your readers/followers. I thank you for the detailed thoughts in this post. I have recently been thinking deeply about what to write and why do I write. Do I write on my blog or should I work on my book? Who is really going to read my book anyway? What will someone take away from reading my book or blog? That is where I stop. Everything you mentioned brings me to “what can I share/teach/give to another?” That is why I write. And the reason I blog is to build that relationship. Thank you so much for the compliments! I have tried to create something of quality that people could enjoy while also relishing in the community aspect of blogging. The drawback was the time required to do it well. I shall return, my blogging days are far from over and I have a stock of topics I want to write about soon, but the combination of book writing and new school year starting (I am a teacher by day, after all) really hit me hard. I am doing quite well, thanks, and hope to be back in action before months end! I look forward to your return! Take care.